Part of the fun — and frustration — of birding is trying to identify a bird you’re not familiar with. I knew as soon as I sighted this bird that I didn’t know what it was, though it looked vaguely familiar, like a student you had in class twenty years ago. That white spot next to the beak was pretty distinctive, though, and I thought that would make it easy to identify once I got to a birding book. It didn’t help, of course, that the spot didn’t look the same on all the birds. At first, I actually misidentified the bird, thinking it was Blue-Winged Teal though I couldn’t see any blue wing. Eventually, though, I decided it was probably a Greater Scaup. It didn’t help, of course, that there wasn’t a single male in the flock, and males Scaups are much more distinctive than female Scaups. Actually, this shot was the one that convinced me that it couldn’t be a Blue-Winged Teal, because Blue-Winged Teal don’t have an all white breast like this. It never hurts to see the bird next to a more familiar bird and get an accurate appraisal of its size. 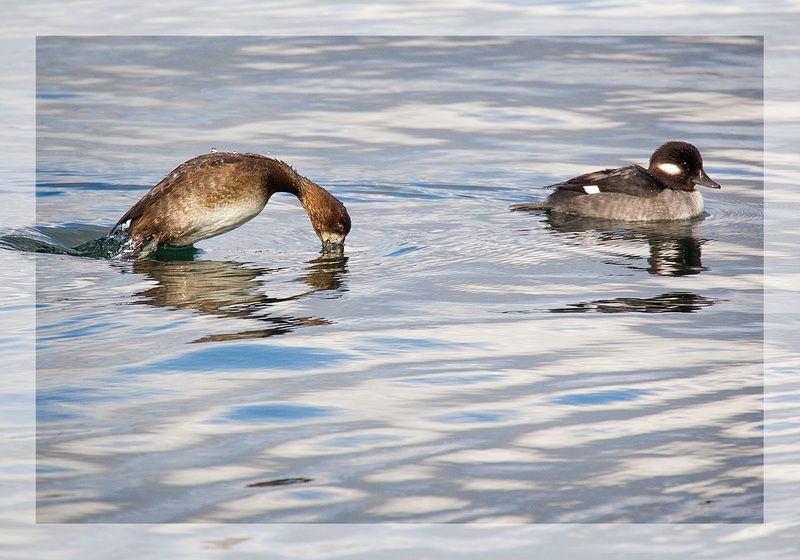 Buffleheads are one of the smaller ducks. But it was this shot that finally convinced me it couldn’t be Blue-Winged Teal because Blue-Winged Teals are “dabblers,” which means it’s unlikely they would dive like this. The book I used to identify this as a female Greater Scaup doesn’t show a female Lesser Scaup, which, as it turns out, looks very similar to a female Greater Scaup, though the feathers on the back tend to be whiter. 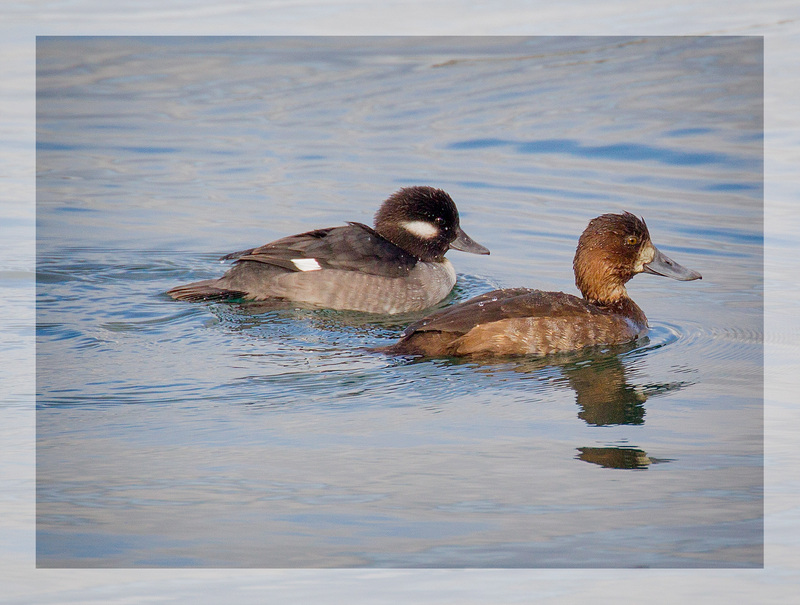 Until one of my readers who is a better birder tells me otherwise, I’m going to say these are shots of female Greater Scaup. 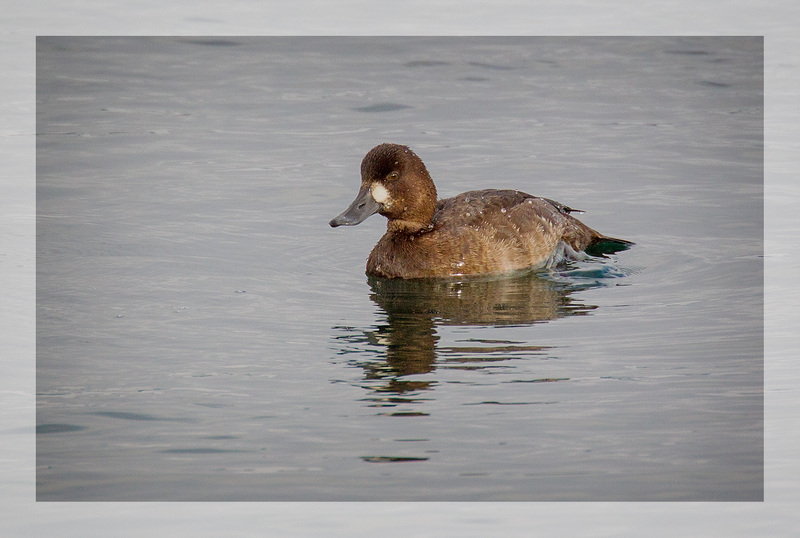 I photographed a Lesser Scaup a few weeks ago, and I think you are right. 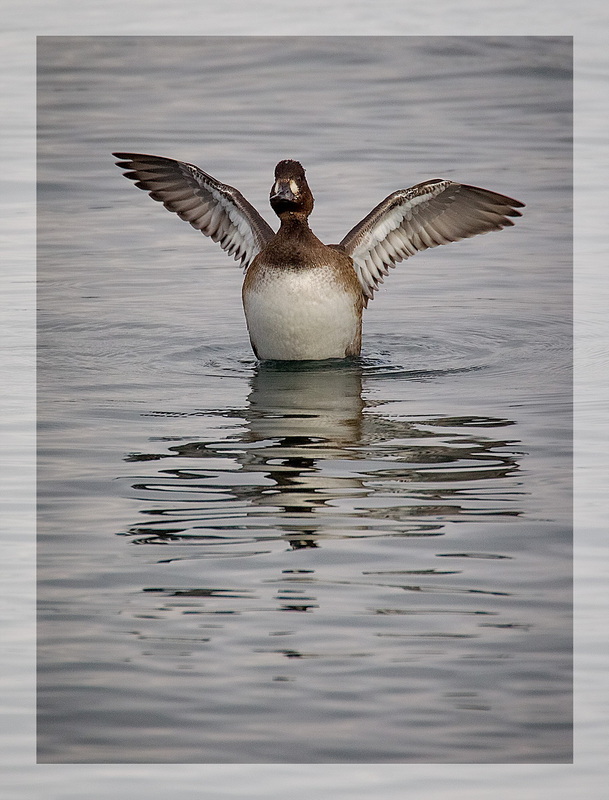 It is a Greater Scaup. Love these photos.